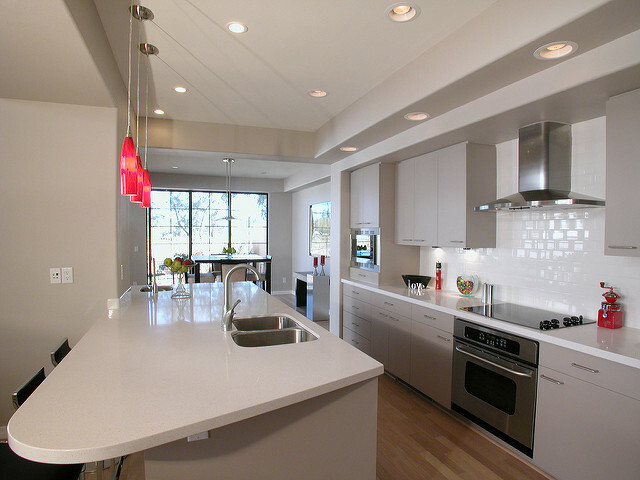 Share the post "Tips for Modeling/Remodeling Your Kitchen"
When it comes to designing your own kitchen, it can sound like an exciting task but at the same time, it demands patience, persistence and knowledge. Not only you need to have an idea of what you exactly want, but you also need to be familiar with things that you intend to include in your kitchen. A satisfying end result requires extensive planning and designing a layout. Only when you are done with the planning phase, you can present it to your contractor and keep an eye over the progress to see if it is being built the way you want it to. In order to realize what you exactly want, you need to see what appeals to your nature and what you seem to dislike and this requires research. You should check out magazines and search the internet for ideas that seem compelling. Save what you like, add some items to your shopping list and when you feel like you have enough material to compose your own design, start by merging the designs and with a little bit of creativity you will end up with an eloquent design. Making a visual representation will help your contractor understand your needs better. 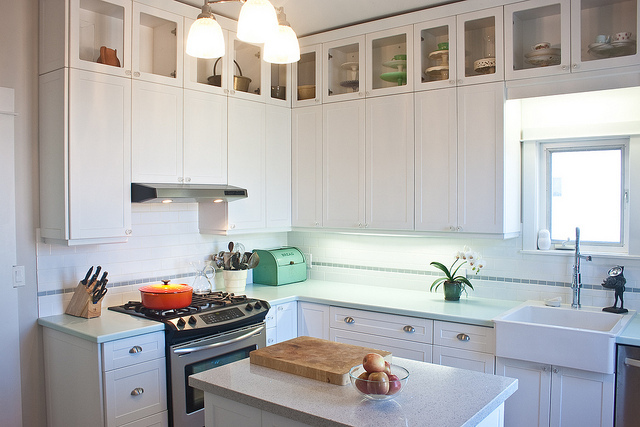 The first thing you need to decide is the basic layout of your kitchen. The most eminent 5 layout designs are one wall, corridor, U shape, G shape and L shape. In the one wall layout, you have all your appliances and cabinets against a single wall while in corridor, you have your essentials on both side but empty space in between so you have the space to walk and perform your desired work. In U shape, your kitchen has only one point of entry and your essentials make the shape of U in your kitchen. G shape layout is for condensed scenarios where your essentials make the shape of G. In L shape layout, all of your essentials are lined up in a manner that they produce the shape L.
In order to have a sound plan, you need to decide exactly what will be taking the space in your kitchen. This includes oven, fridge, stove, dishwasher, cabinets, faucets, sink and many more. Once you have that list, you can start distributing space to your equipment and their requirements. For example you need a gas line for your oven/stove and an electric line for your refrigerator. Only choose equipment that you intend to use otherwise it’ll only be a waste of space.